Herb Derr has crafted a Drop Point Hunter with a 4-inch blade of his Bird's Eye pattern Damascus, 9.5 inches overall. 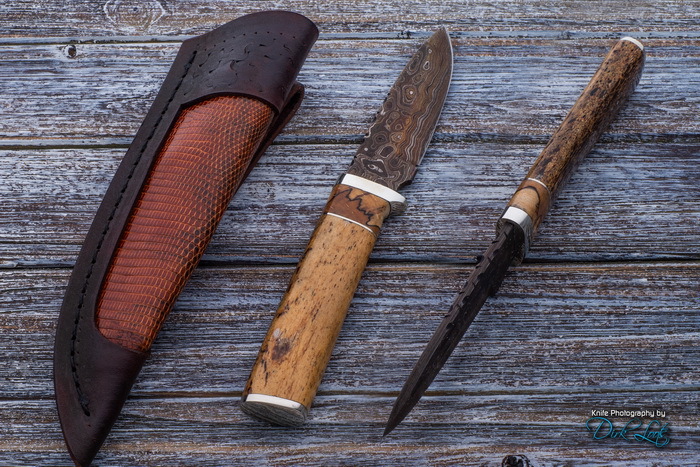 The handle is Sea Cow Rib with a Spalted Maple spacer and a stainless guard and pommel. I comes with a maker-made Leather sheath with Lizard Skin inlay.